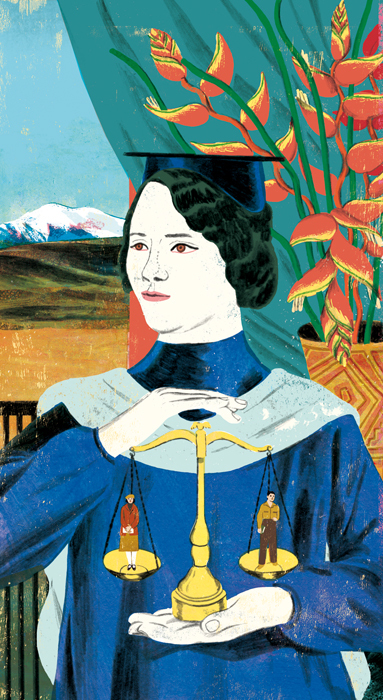 The face of justice: Pioneering women jurists. Esilda Villa. Illustration for Legistics.net.